The perfect cure to mid-term blues. It's that point in the semester. You're retrospectively laughing at the student you were in mid-August, who had optimistic feelings of getting an A in every class. Now you're eating easy mac for the second time today and debating on whether or not to drop out and become one of those boxcar children. The mid-semester slump is upon us. 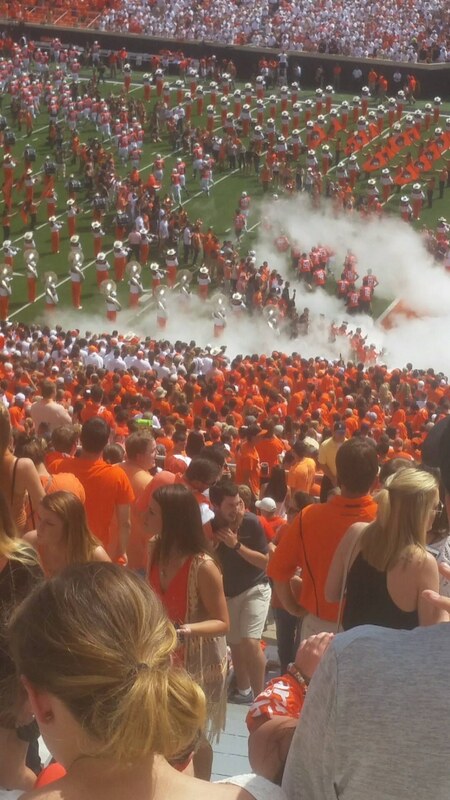 Lucky for us (if you attend Oklahoma State University), it's homecoming week. We all might be just surfacing or in the thick of midterms, but we finally have something to look forward to. As much as we all complain about school and work, we all love our university, and it shows through our homecoming events. Here's the itinerary for the week! 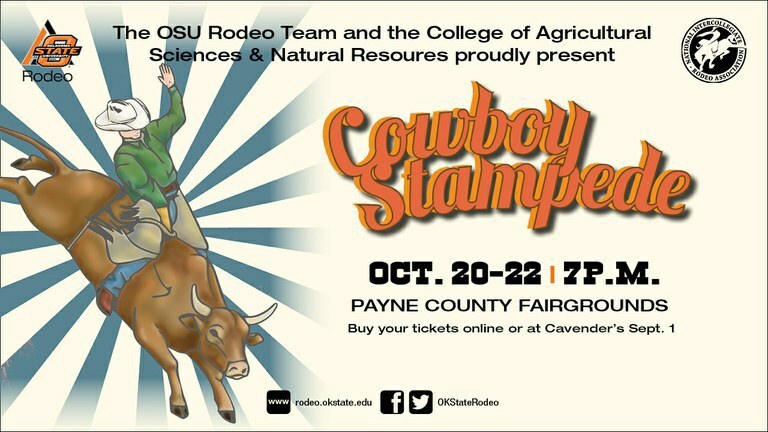 Did you know OSU has a rodeo team? We do, and it's pretty awesome. For the weekend before homecoming, the rodeo team puts together a 3-day rodeo event for the community to enjoy. If you're into the western vibe or not, it's time to get out of your element and watch some kids do crazy things with animals that you would most likely die trying to do yourself. 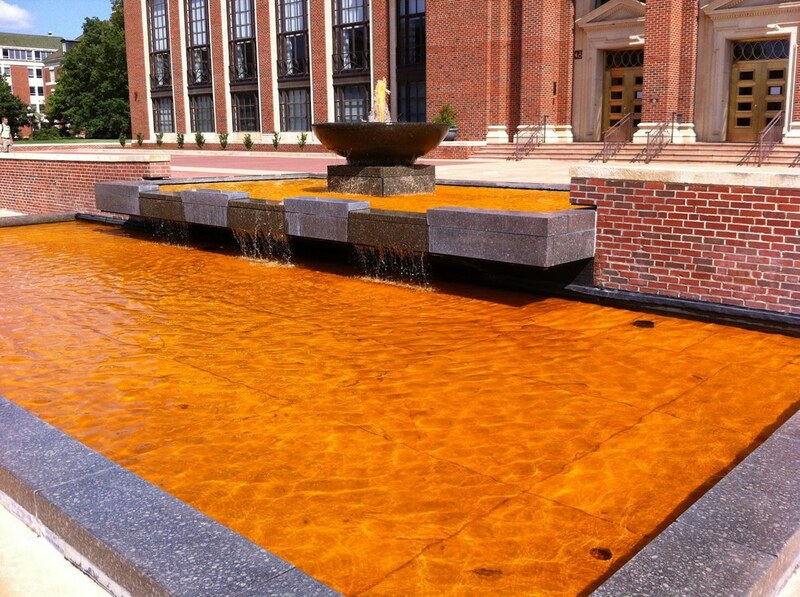 On Sunday before Homecoming, there is a public ceremony of dyeing the library fountain orange for the week. It looks so festive, how many other colleges get to have colored water? Is it actually Fanta instead of dye? One can only dream. The clubs in the College of Agricultural Sciences and Natural Resources each get assigned a window on Ag Hall to paint. If you don't pass this building on your daily commute, I suggest a temporary detour. Each window is judged, and the club with the best window gets the front door the next year. Library Lawn gets a makeover this week. If you're not sprinting to get to the Chick-fil-a line before it wraps around the union, take a stroll and admire the art of the lawn. 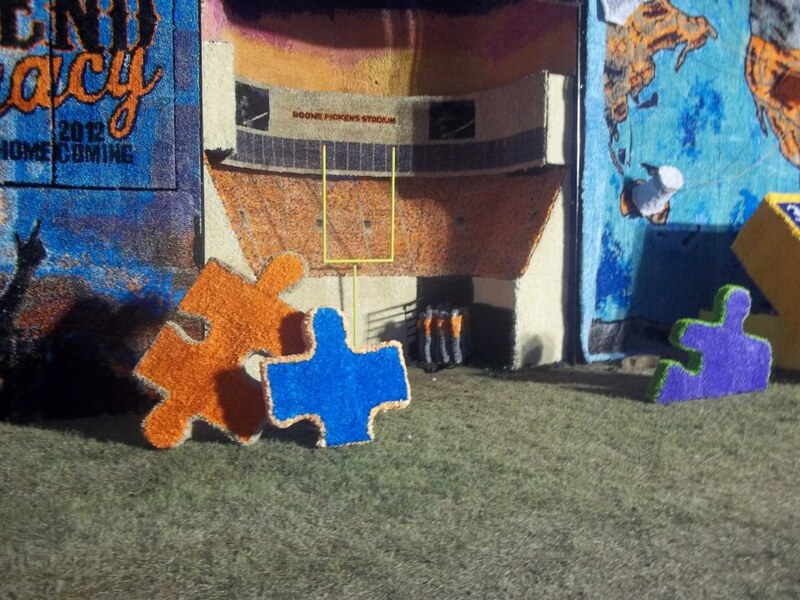 Every major Greek house and extra-curricular club paints a sign for the theme of homecoming week for a competition. It's really cool to see what different groups of people will do with the same project assignment, and for you to realize your lack of art talent. 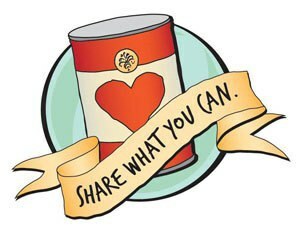 On Tuesday, these same clubs will gather at the Payne County Expo Center to gather donated cans to donate to the needy and provide games for the community. It's a lot of fun to see the different groups of people within the University and the locals of Stillwater intermingle for the betterment of the city as a whole. I recommend checking it out. Did you just realize football season is almost over? Fear not! It's time to get pumped about basketball season. Basketball will be there to console you when our bowl game comes to a close. Not only that, but we have a new head coach to be formally introduced to. Easily one of the highlights of the week. Has a friend of yours from another university complained about pomping? That's cute. 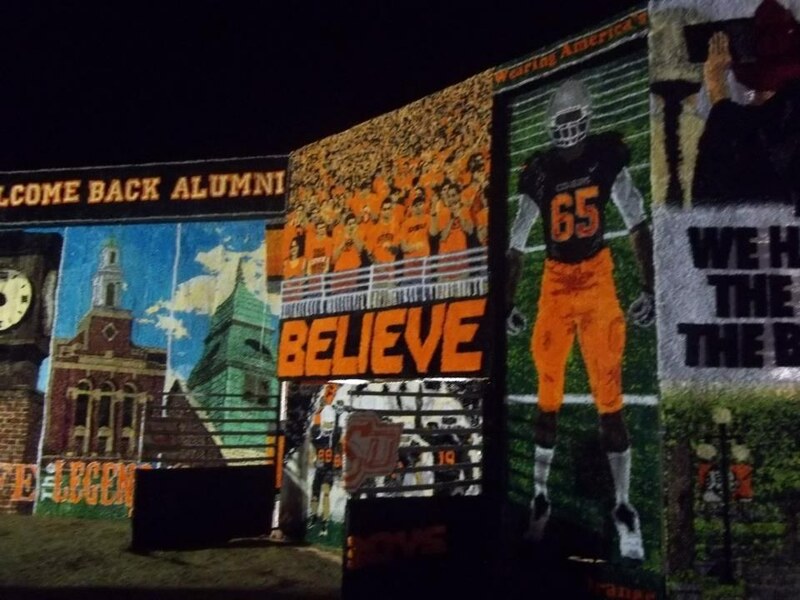 OSU Greek life goes all on out on amazing, giant decks on Greek row. Come marvel at how hundreds of hours and tons of tissue paper can make fantastic art. Also, there will be dogs. Some dressed in adorable little jerseys. As well as food trucks, stands, local shops, and music. Do you think you can handle all that awesome? Get up, it's game day! Yes, it's early, but unless you were pomping all the night before, the parade is the gem of the morning. 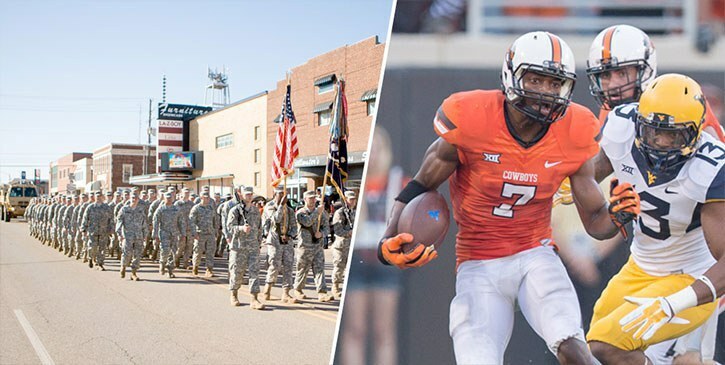 Watch floats, Pistol Pete, flying candy, the marching band, and so much more stroll by and get the entire city excited to cheer on the Cowboys in a mere few hours. It's also one year since we all learned that we were #StillwaterStrong. What we've all been waiting for. West Virginia beat TCU last week, and by a decent margin too. We're gonna need everyone's help on this one. 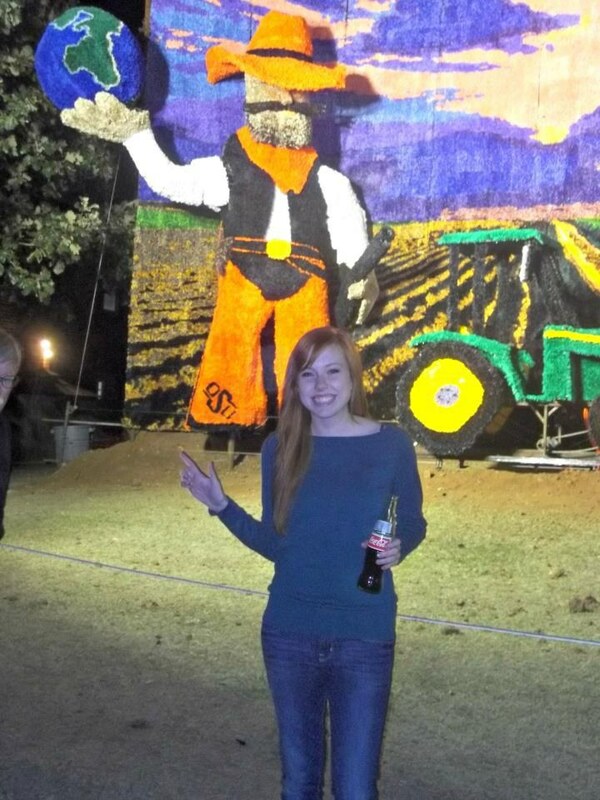 If I could buy the entire city of Stillwater a ticket to cheer on the Cowboys, I would. I don't think I need to though, because the game is pretty much sold out. Usually we play an easier team for Homecoming, but this year is going to be a good game. Get your heart medicine ready. If you don't take advantage of these activities to get yourself out of the mid-semester blues, you're crazy. Most of these events are free of charge and were created for the sole purpose of having FUN. So get in on it, and wear all the orange you can this week!